These social issues find resonance on his work. In one painting there will be reference to the Greek myth on the abduction of Europe and the allegory will allude to the present mistreatment of women in our country; another alphabet painting will reflect Orwellâs Animal Farm and the exploitation by âpigsâ of the many helpless animals of the land; yet another will have Hanuman rescuing the Babri Mosque while humans are busy in its destruction, or Saadiâs Gulistan, passing commentary on sycophancy and the exploitative political scenario. 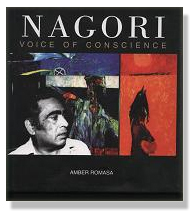 This volume serves to shed light on Nagoriâs struggle and his work as they are both in unison with one another. Amber Romasa Electronic Cigarette is a freelance writer. Based currently in Karachi, She has studied in Pakistan, the UK and Italy, and has to her credit a number of research papers. She writes regularly in newspapers and magazines and has given talks on various topics; latest being âaesthetic expressions as formulated by the terrainâ at Vesterheim Museum in the USA. âWith a touch of Modigliani and a whiff from Ajanta caves, Nagori follows Al-Ghazali, who in contradistinction to the Greekâs perception of sensual beauty, hold that a sixth sense, a sort of super sense, is responsible for the appreciation of beauty. Every great painter, every artist and every lover of beauty possesses this sixth sense in the fullest degree which is the source not only of creation, but also of appreciationâ. âLike a modern day Cassandra, Nagori points out political failings, economic disparity and social injustice meted out to silent majorityâ.